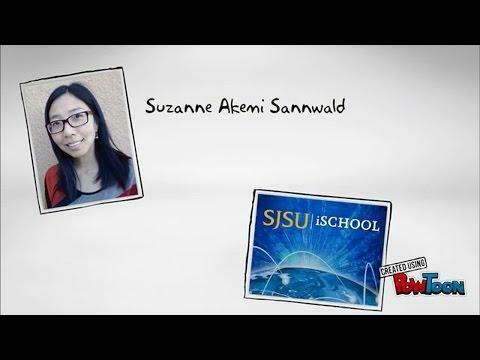 The San José State University School of Information prepares individuals for careers as information professionals. Graduates work in diverse areas of the information profession, such as user experience design, digital asset management, information architecture, electronic records management, information governance, digital preservation, and librarianship. The SJSU School of Information offers several online educational programs, including a Master’s degree in Library and Information Science, which is fully accredited by the American Library Association, a Master’s degree in Archives and Records Administration, and a Master’s degree in Informatics. A Teacher Librarian Services Credential program is also available as a second teaching credential for school librarians. Several online specialized certificate programs are also offered. The Advanced Certificate in Strategic Management of Digital Assets and Services is an option for both current master’s students and information professionals looking to gain practical skills needed to manage the increasing variety of digital information. For those who already hold a master’s degree, the Post-Master’s Certificate in Library and Information Science is designed for working professionals who want to stay current with emerging trends. Through a partnership with Queensland University of Technology, one of Australia’s top research institutions, doctoral students can earn a PhD in Library and Information Science. In addition, a plethora of professional development and continuing education opportunities are available to the public. In support of our commitment to lifelong learning, we offer live and on-demand webcasts, the Library 2.0 virtual conferences, the Open Classes program, faculty presentations, and more educational opportunities—many of which are free. All programs are delivered online, and our school is a recognized leader in online education. A member of the Online Learning Consortium – formerly known as Sloan-C – we received the OLC’s 2014 Outstanding Online Program Award for the MLIS program and the 2013 Sloan-C Effective Practice Award in recognition of effective use of the Online Learning Consortium Quality Scorecard for Online Programs. Our school is also a member of Quality Matters, a faculty driven, peer review process that is designed to certify the quality of online courses. SJSU is fully accredited by the Western Association of Schools and Colleges. Our school has awarded graduate degrees to information professionals for more than 55 years. Based in Silicon Valley, our vibrant community continues to inspire innovation in the library and information science field worldwide. For more information, please read about our history and mission. Have Questions about Our Programs?